Directions: To reach the meeting point, you need to go to Universitet metro station (метро Университет), on the red line (line 1). Once you have arrived at the station, you will need to take the escalator (do not take the exit with the stairs). When you are outside the station with the main street in front of you, walk along it (do not cross it) with the traffic to your right, in the direction of Moscow State University. 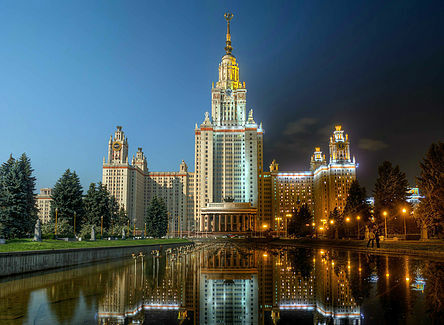 After a 7-10 minute walk, you will reach the Fundamental Library of Moscow State University. In front of it is a monument to Shuvalov. Congratulations, you are at the meeting point! For more detailed information, see the photos and the map below.